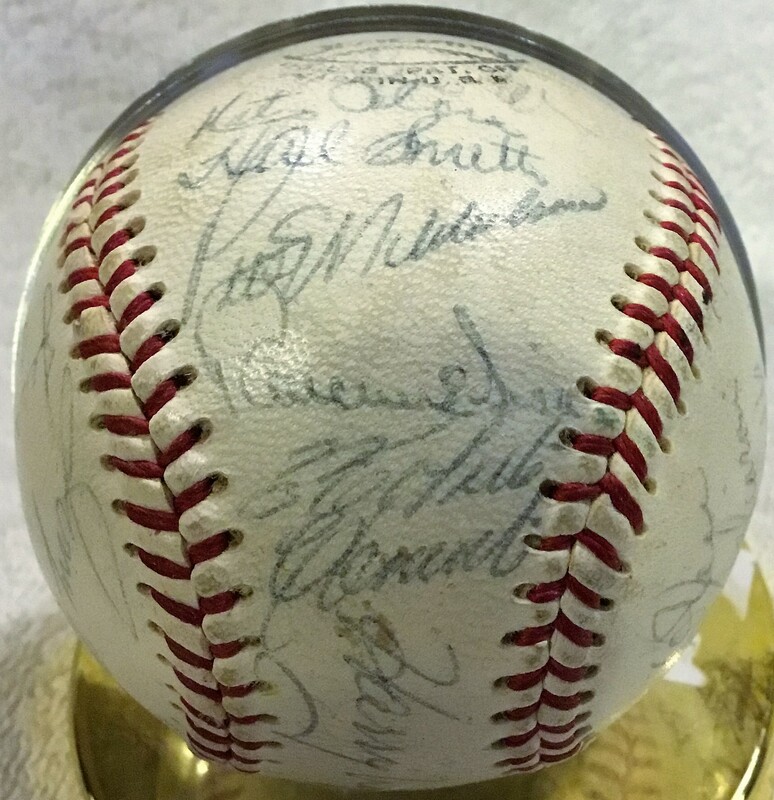 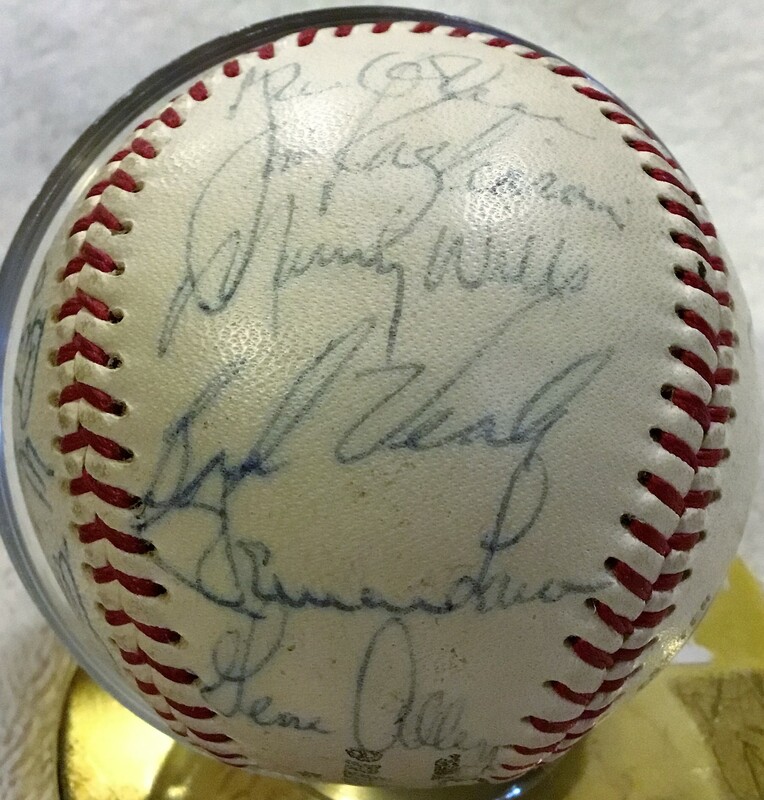 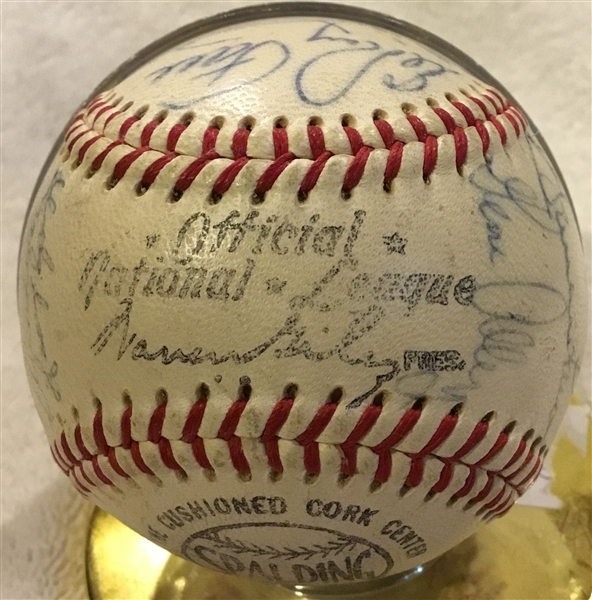 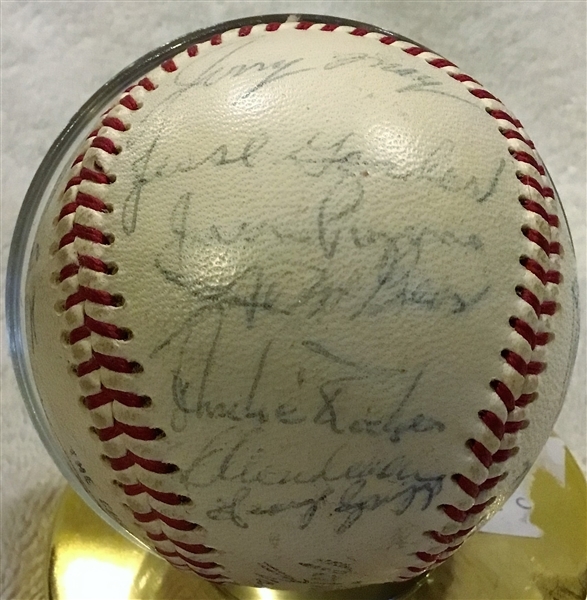 This incredible ONL baseball was signed by 25 members of the 1967 Pittsburgh Pirates. 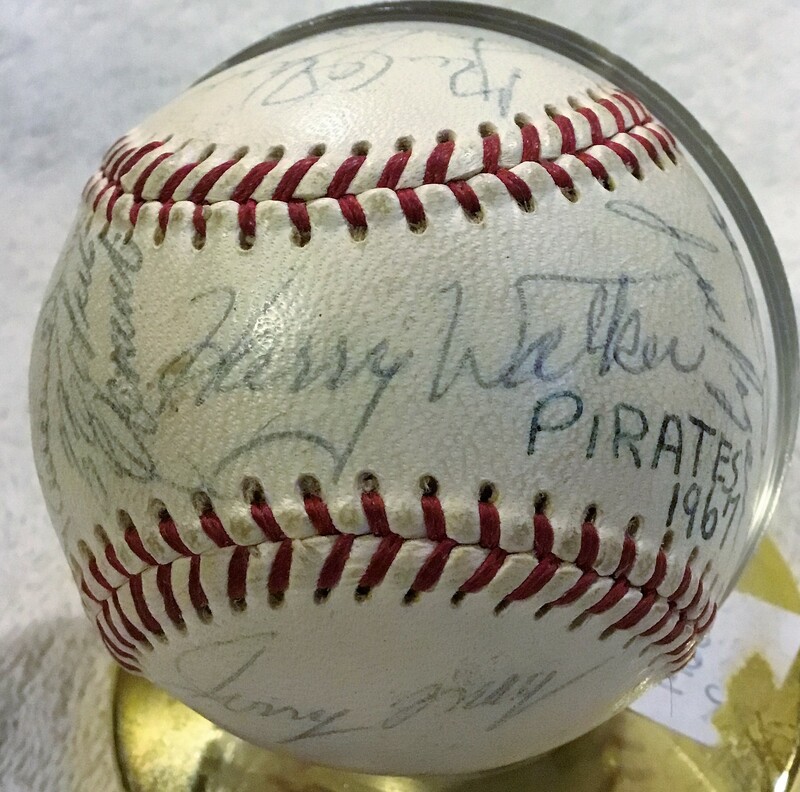 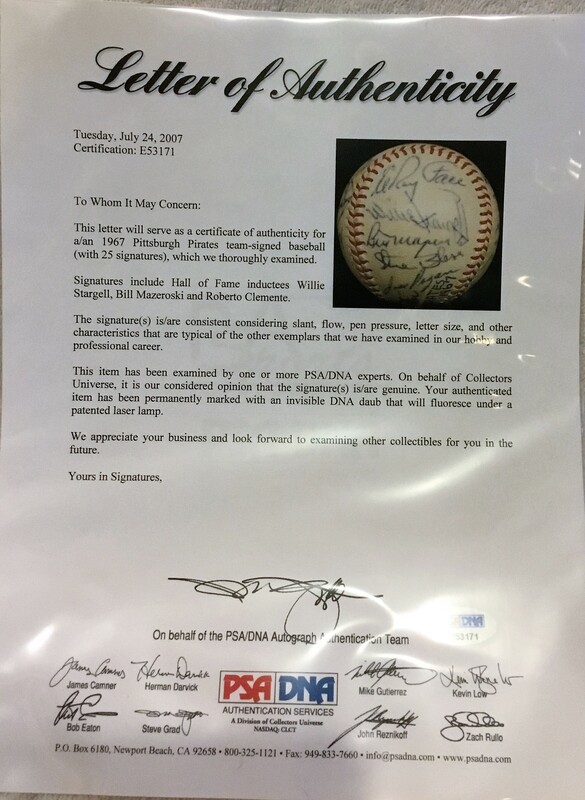 Signatures include Hall of Famers Roberto Clemente, Willie Stargell and Bill Mazeroski. 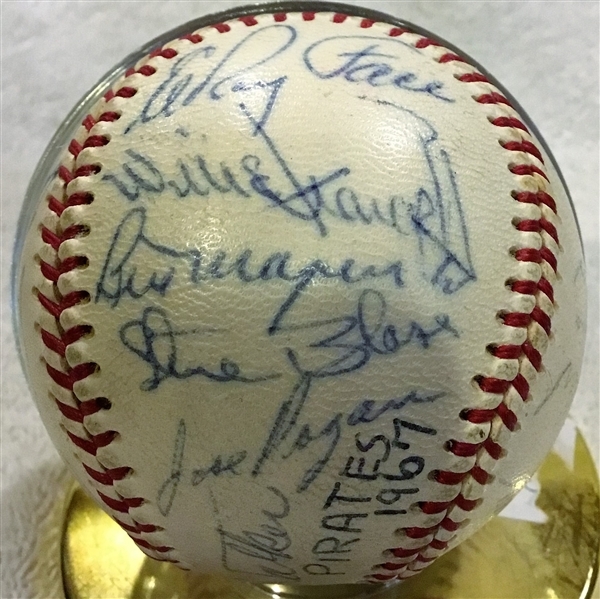 All the signatures are legible to the naked eye, but a few of the panels are stronger. 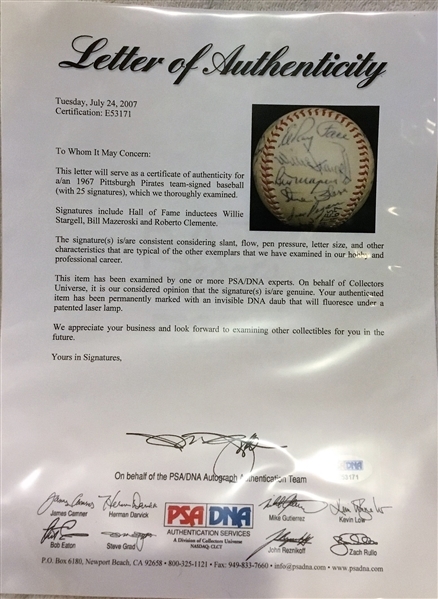 A terrific piece for any collection.